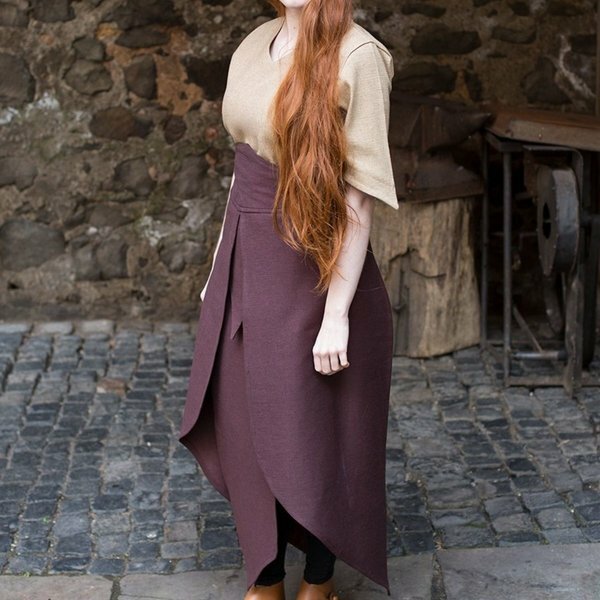 This skirt is a cheap alternative to create a dress for your LARP, Cosplay or festival outfit. 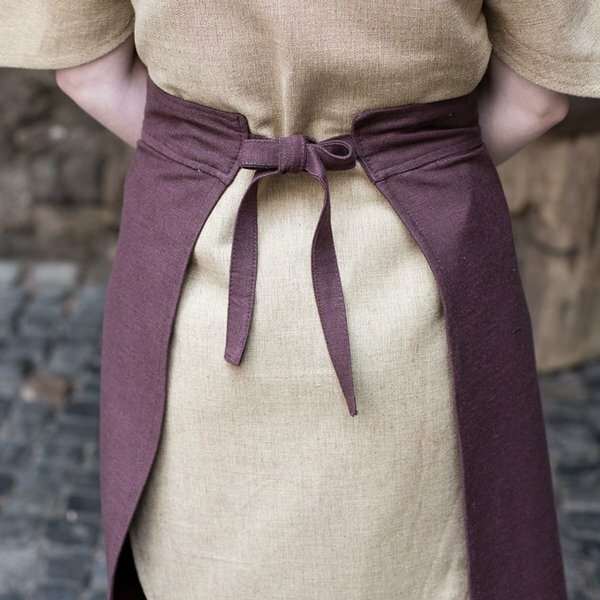 The skirt has a band at the back and is tied around the waist like an apron. You can also easily take it off again. 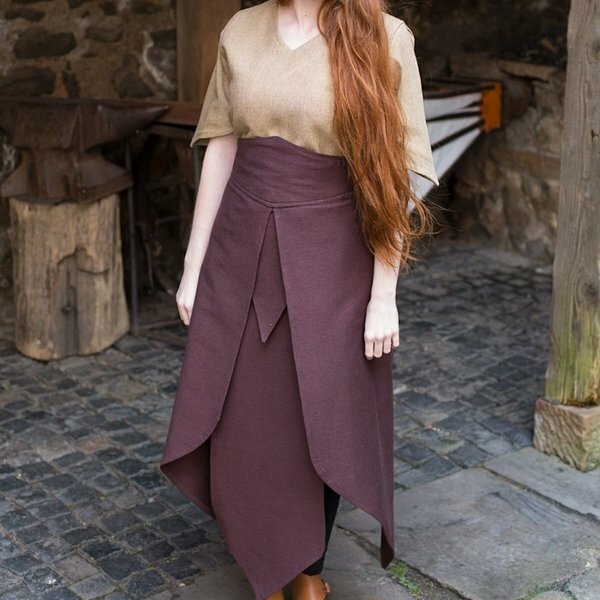 This skirt with three-piece design can be worn over a long tunic or, for example, over a shirt with leggings.